The town of Marshfield and the name Winslow have a deep historic connection that began in 1632 when Edward Winslow, future Governor, first established Marshfield as a separate settlement from Plymouth Plantation. The Francis family also enjoys a deep connection to this name as one of the founding members of Green Harbor Golf Club, Shirley Winslow Francis, was a direct descendant of Governor Winslow. When it came time to name our newly renovated lounge, Winslow’s was the natural choice. Our mission is to create a community-based, family friendly, golf-centered facility that provides our members and the public with a beautifully maintained natural setting where they can celebrate both important and fun family events. We believe that our newly renovated lounge is an important milestone in accomplishing this mission; we hope that you enjoy it. 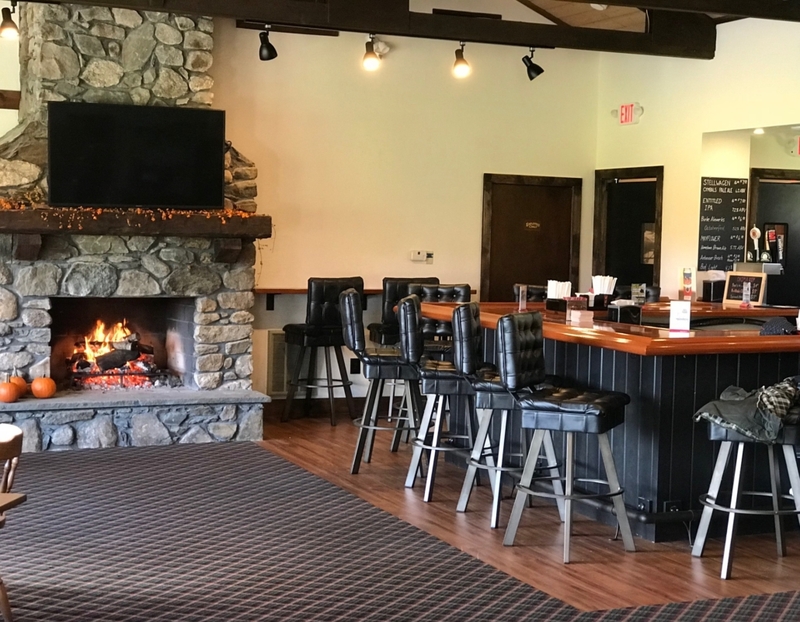 Winslow’s at Green Harbor Golf Club features casual food and fully stocked bar with seating for up to 80 people. The adjacent outdoor patio offers additional seating and beautiful views of the meticulously groomed grounds. 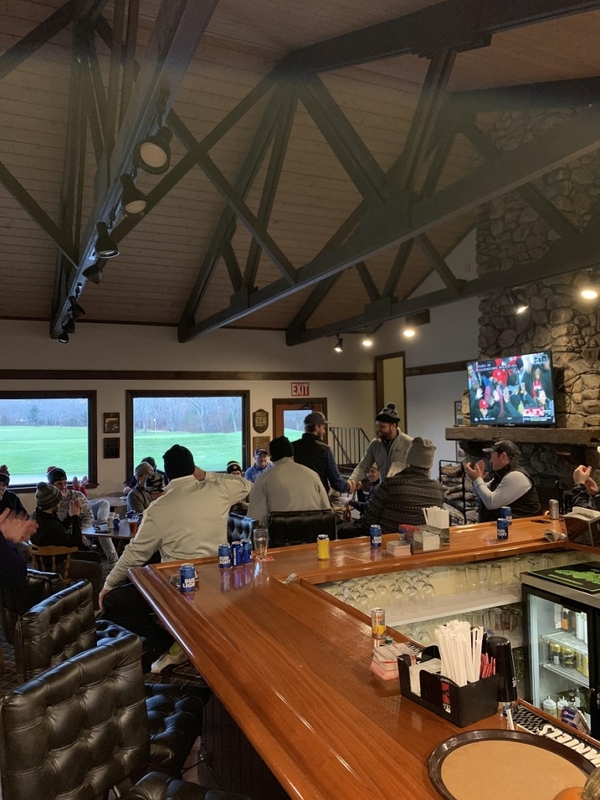 Whether you are refueling between nines, after your round, or just watching the game on one of the many flat screen TV’s, the vaulted ceilings, beautiful working fireplace and friendly staff makes Winslow’s the ideal place to enjoy great food and drink with good company.